Some complain about gentrification while others celebrate it. Whatever your opinions are on the matter, there’s no doubt that many parts of the United States are getting any influx of some pretty unique and curated businesses that we otherwise wouldn’t have. It’s no secret that Echo Park has been an eastside gem of the greater Los Angeles experience for decades running, but we still feel like this area deserves some more love. Wouldn’t it be nice to live in the middle of all the action here in Echo Park? At 422 South Lake, you can! 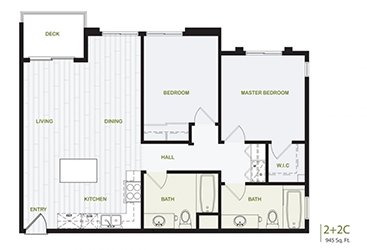 With one bedroom, two bedroom and three bedroom apartment options, there’s an affordable luxury apartment solution for just about everyone. 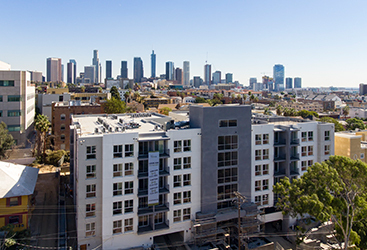 As far as Downtown LA apartments go, the team at 422SOUTHLAKE likes to think that our new downtown lofts represent a refined standard for downtown rentals. Get in touch with us to learn more about this incredible opportunity! Now, let’s take a closer look at Echo Park and some of the things that make this area so highly praised among long-time Los Angeles residents. Where Else Can You Buy Anti-Cloning Fluid? For your next trip through time, we highly recommend shopping at Echo Park’s own Time Travel Mart. Yes, we’re actually serious – this bizarre storefront stocks supplies that are actually for sale. As it turns out, this amusing store is actually a fundraising front for Dave Eggers’ nonprofit ‘826LA’, an organization dedicated to improving children’s literacy. So, at least you can feel good about making a seemingly ridiculous purchase here. Echo Park is home to Dodger Stadium, complete with a gorgeous view of Downtown Los Angeles looking over Echo Lake. Some actually consider this view just about as ‘LA’ as it gets. With Dodger Stadium’s convenient proximity, you can walk over to the ballgame from your luxury apartment on South Lake, and even grab a beer and some delicious street tacos on the way down (seriously, these street tacos are everywhere and they’re totally world-class- now, we’re not going to try and compete with San Diego’s taco scene, but you get the idea). Yes, you right that correctly! At 1642 W Temple, you’ll find a dark, jazz-influenced beer bar on the Echo Park and Silverlake periphery. But don’t just show up there at anytime – we recommend showing up on Thursdays from 6-8pm. If you order a beer (okay, maybe these tamales aren’t 100 percent free, but still), you’ll get a free tamale along with it. We like to think that this is a pretty hot deal. Isn’t it a pain when you’re looking into buying concert tickets for an upcoming show, only to have the total price increase by $15 or $20 just because of those pesky service charges? Well, at Origami Records, you won’t have to deal with those ambiguous fees. This tiny boutique music shop features impressive stacks of new and used records, and also hosts free shows from now-famous bands such as the Silversun Pickups. So, if you’re all about seeing live music and going to local concerts, Echo Park hosts a number of great venues within walking distance of our Downtown LA apartment building! 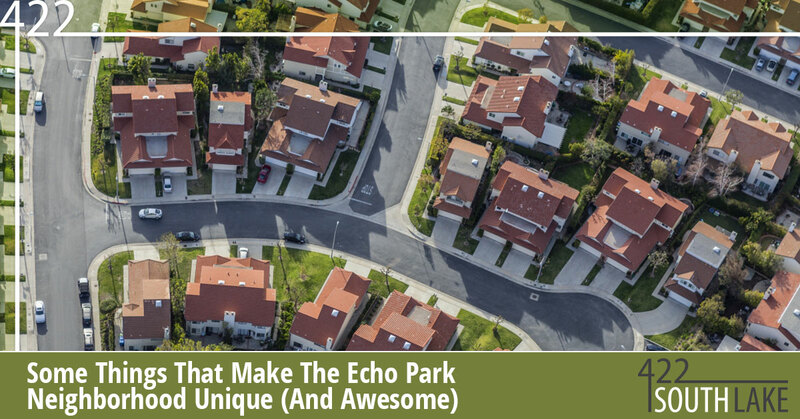 Experience The Best Of Echo Park By Living Here! Now, we probably didn’t touch on hundreds to even thousands of little things that make Echo Park a stellar place to live, but we’re sure that you get the idea by now! Come be a part of the excitement and live within an easy walking distance of many local businesses by joining us here at 422SOUTHLAKE. 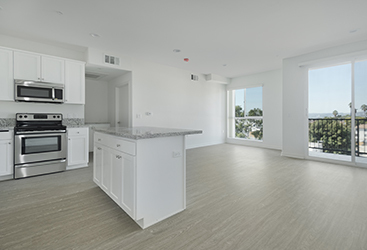 This is a Downtown LA rental that you won’t want to miss out on, as units will fill up fast. Contact us today for more information. Get In Touch With 422SOUTHLAKE!